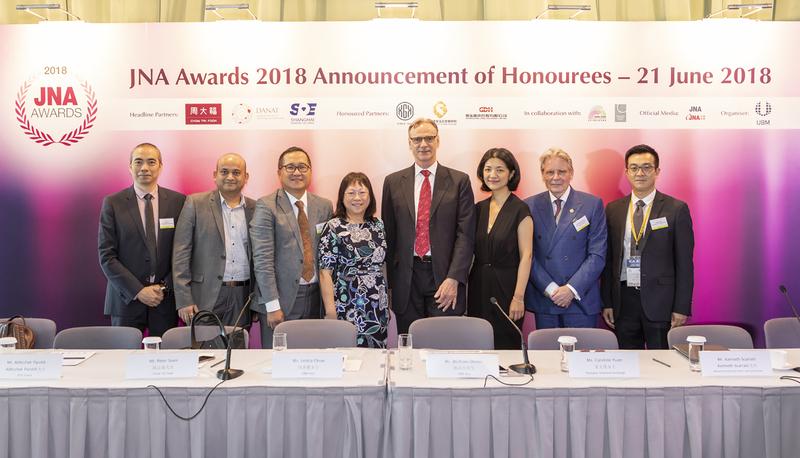 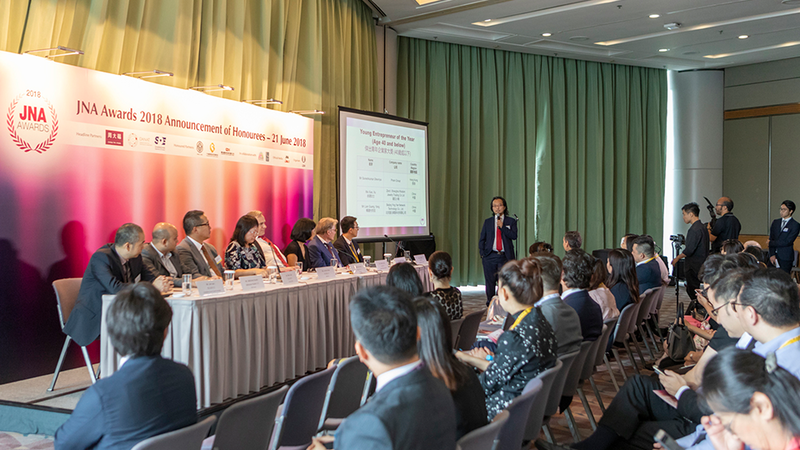 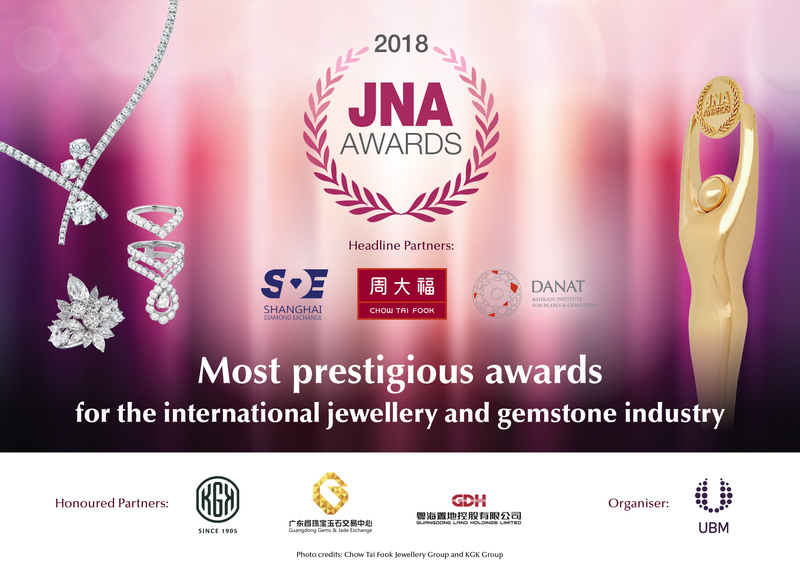 HONG KONG, June 22, 2018 /PRNewswire/ -- The JNA Awards announced the Honourees across 12 categories at a news conference held alongside of the June Hong Kong Jewellery & Gem Fair.The seventh edition saw a record-breaking 127 submissions from 16 countries and regions. 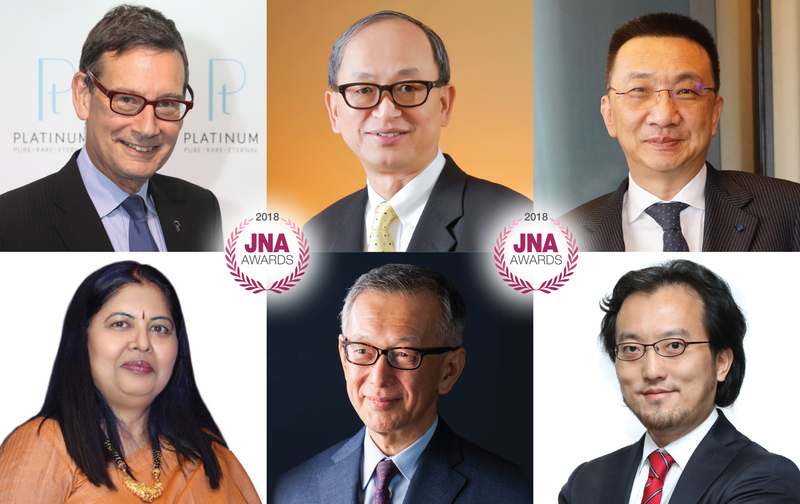 Letitia Chow, Chairperson of the JNA Awards, Founder of JNA and Director of Business Development -- Jewellery Group at UBM Asia, commented, "Competition has never been keener judging from the record-breaking number of entries we received this year. 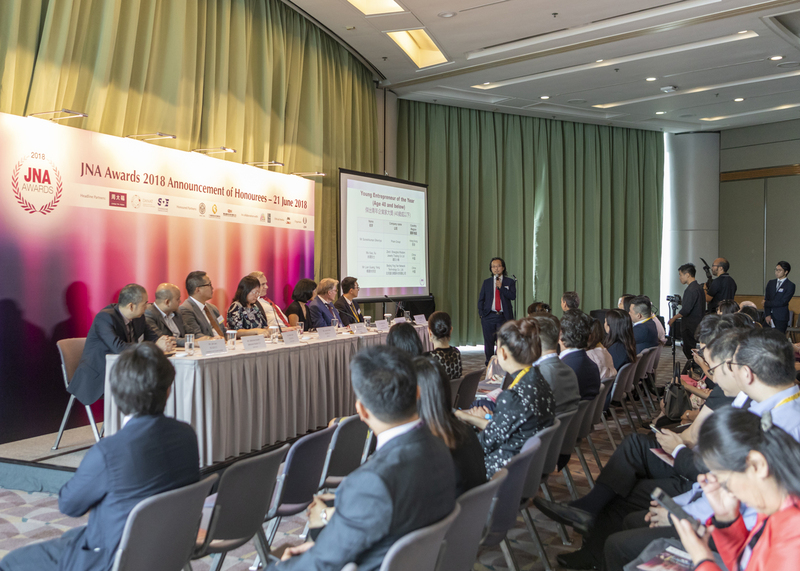 To top it off, the quality of the submissions remains remarkable." 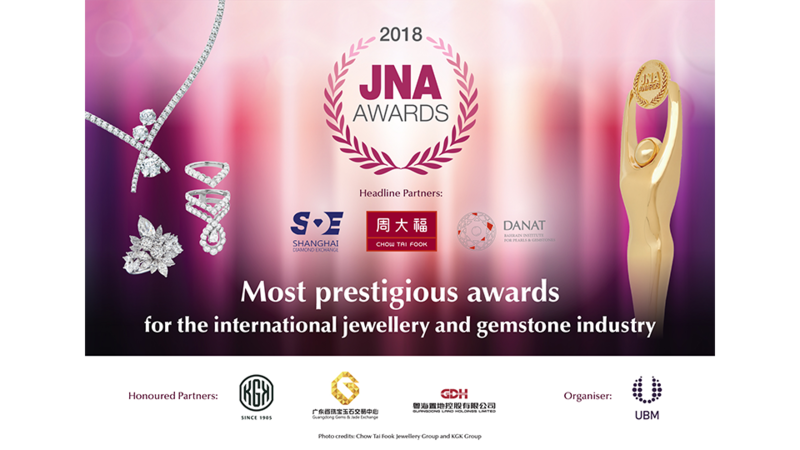 Headline Partners Chow Tai Fook, Shanghai Diamond Exchange, the Bahrain Institute for Pearls and Gemstones together with Honoured Partners KGK Group, Guangdong Gems & Jade Exchange, and Guangdong Land Holdings Limited support the JNA Awards to recognise excellence and innovations. 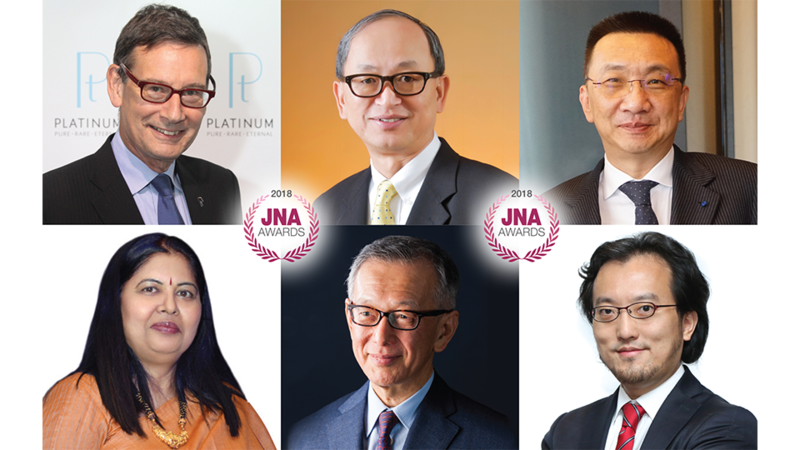 "It's exciting to see the quality of entries for this year's JNA Awards, which makes the process even more challenging. 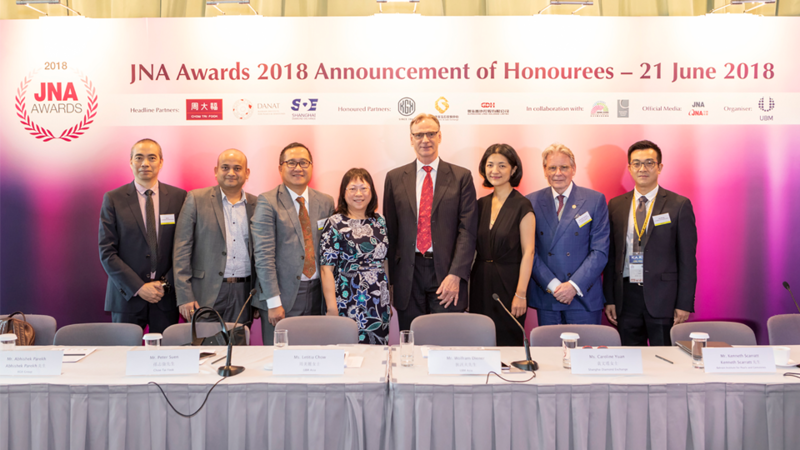 This is a testament to the innovations and disruptions that have been driving growth in Asia's gemstone and jewellery industry," Bhatt noted.